Leidos wanted to make Australian candidates aware of an opportunity to work on ground-breaking and innovative high-level government defence contracts without breaching client confidentiality. Following a merger with Lockheed Martin, Leidos had suffered from a lack of brand presence within its key candidate audiences in Australia as the Leidos brand was unknown outside the US. Adcorp developed an employer brand that positioned Leidos as a place where you will solve complex problems and tackle career defining projects. It was important to ensure that the brand extended into graduate and internal communications such as diversity and inclusion. Under the EVP of ‘Redefine Possible’, Adcorp created innovative bold messaging and a colourful new look. 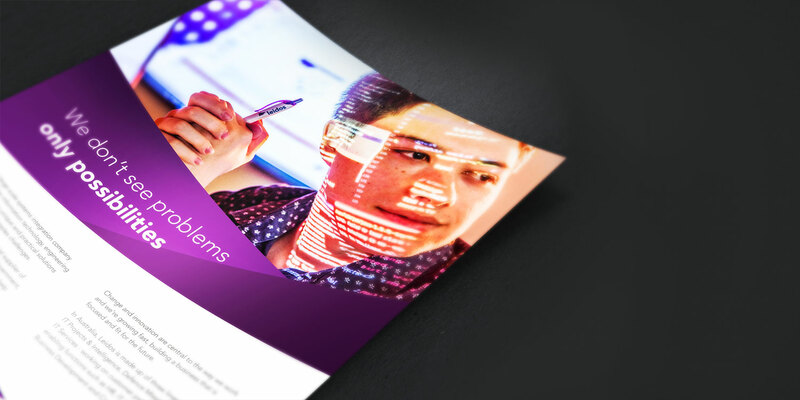 Recruitment marketing collateral was developed to make a bold statement about what you can achieve with Leidos. 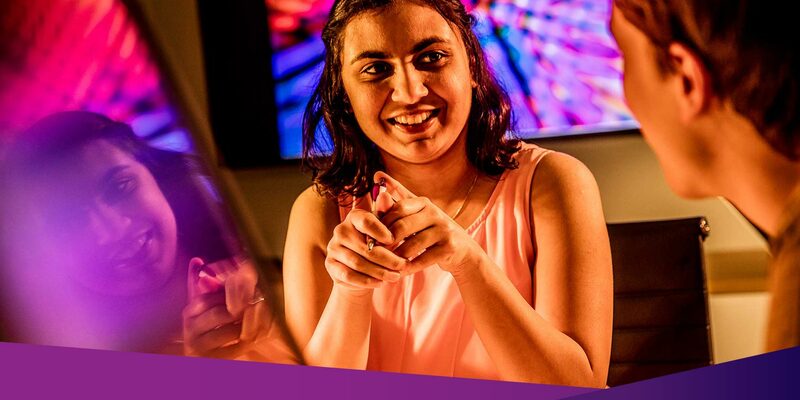 The messaging called on ‘seriously smart’ candidates to ‘push your boundaries and be inspired by what’s possible’ within Leidos supportive culture. Adcorp demonstrates the flexibility of the brand through wordplay. Adcorp designed a range of internal collateral. 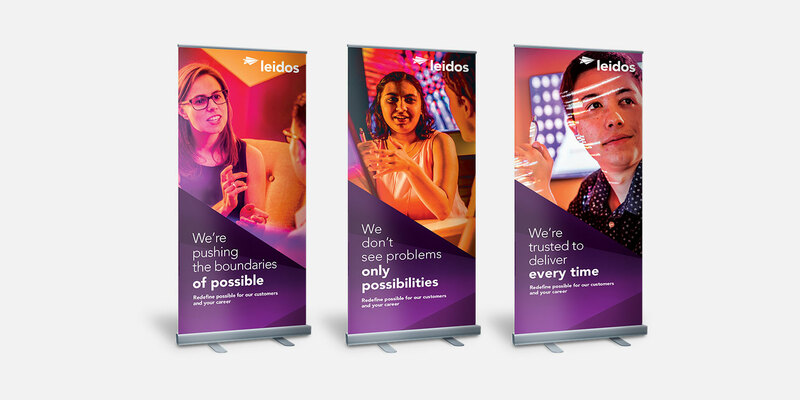 Adcorp worked with Leidos to capture and create imagery that would reflect their diverse workforce ‘redefining possible’.